6 posts categorized "Holiday lets"
Property Tribes forum and, Social Media Graffiti, are delighted to announce that we have partnered with The Property Investor Show 2010 to help create awareness of the show within the on-line investor/Landlord and property services communities. The Property Investor Show & OPP Live returns to ExCeL London, 14-16 October 2010 featuring a combination of regular and new exhibitors - and 3 separate seminar/conference programmes. It is also set to feature a live property auction on Friday, 15th October! Vanessa and I will be speaking about holiday lets and using social media for your property business during the seminar programme. We will also be hosting the "Property Tribes Landlord Panel" on the Friday, which will take the form of an open forum/debate for Landlords to discuss issues of the moment. This will be broadcast on the social web via Twitter. Any property tribes member booking a stand at the event will be eligible for the special offer of a FREE show guide advertisement. Please email: enquiries@propertyinvestor.co.uk for prices. Please quote "Property Tribes". Tickets for the event are free and you can register for your e-tickets >>> here. Further details for the show can be found >>> here. The Property Investor Show is engaging with the investor community on Property Tribes forum, asking for feedback, suggestions for speakers etc. You can join the conversation and have your say >>> here. Along with our speaker appearances, we will also have a stand at the show. We hope that many property friends will drop by and say "hello" and also support the Landlords Forum. You can also follow show up-dates on Twitter @investor_show - with the #propshow hashtag. This is THE must attend property event of the year where the property tribes gather. It's a great place for business, networking, and education, so we hope to see you there! On a beautiful sunny Spring morning, it's the perfect time to start thinking of Summer holidays! What comes to mind when you think of the British seaside? Candy floss, crazy golf and ballroom dancing? Cream teas, milkshakes, and fish and chips? Sandcastles, buckets and spades, and paddling? Not to mention the miles of beautiful and unspoiled coast of this island nation - from sweeping sandy beaches to craggy cliffs. Wherever you are in England, you are never more than 73 miles from the sea! It's ingrained in our genetic make-up and culture! The British seaside is a fairly recent invention. The classic chalet-and-pier towns grew up during the 19th century, when it finally occurred to someone that it might be nice to let workers in industrial towns go on holiday. Their late flowering was in the 1950s and 60s, before the advent of cheap travel abroad. In recent times, it's true to say that some of their grandeur has faded. But it could be that the current economic down-turn is just what is needed to breathe new life back into our coastal resorts. In December 2007, we saw what was happening in the property market and wider economic climate, and we decided to diversify our portfolio to hedge and spread risk. We started researching a U.K. holiday let that had the potential to achieve year round occupancy. After much due diligence, and a weekend stay in the area, we purchased our first holiday let property "SeaBreeze" at Camber Sands, East Sussex in April 2008. 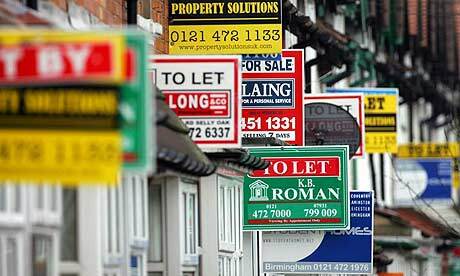 With a buy-to-let property you have pure investment potential. However, imagine having the added benefits thrown into the equation of being able to buy your retirement home now, at today's prices, and have it funded by someone else as well as having your own holiday home at a very low personal cost and with generous tax advantages too (if your property is furnished). A high occupancy holiday let also produces significant net cash flow, makes perfect sense in the current economic climate, and enjoys many financial and other benefits that traditional buy-to-lets don't. 1. Renaissance in the great British seaside holiday, led by magazines like "Coast" and TV programmes like "A Place By The Sea" and BBC's "Coast". There is a significant regeneration of traditional seaside towns going on around the U.K. The seaside resort of Blackpool is set to undergo a £220m transformation with new hotels, shops and restaurants planned. Meanwhile the "Sea Change" government-backed initiative led by CABE (the Commission for Architecture and the Built Environment) aims to regenerate seafront resorts across the country through a range of cultural, heritage and public space projects, with the aim of boosting local tourism and contributing to wider economic development. Dover and Torbay are two of the towns set to receive £4m grants. The fire-ravaged Grand Pier pavilion in Weston-super-Mare is set to be replaced with a futuristic £30 million development that will open in Summer 2010. 2. The credit crunch is forcing families to holiday at home. Research from the Confederation of Passenger Transport (CPT) has revealed that twice as many Britons are planning to spend their holidays in the UK this year compared with last as a result of the economic downturn. The price-comparison website, travelsupermarket.com, also reports a 50 per cent increase in inquiries about UK self-catering holidays, and the property-finding agency, County Homesearch says that rentals for holiday cottages have jumped by 30 per cent this January, compared with 12 months ago. 3. The strength of the Euro and U.S. dollar, plus increased costs of flights and airport taxes, makes a holiday abroad approx. significantly more expensive. By the same token, it also makes a holiday in the U.K. a very attractive proposition for tourists! 4. A new report by Halifax has revealed that Coastal areas are proving to be the most popular destinations for internal migration across England and Wales. According to the Bank, the attraction of living by the sea is proven by the fact that of the 20 local authorities (LAs) seeing the biggest increases in net internal migration between 1997 and 2007, 80 per cent are coastal areas. This suggests that whilst city living still proves popular, many only stay for a limited number of years. Birmingham recorded both the highest internal inflow (315,600) of people and the highest outflow of people (403,600) between 1997 and 2007. The rise in people who are office nomads, self-employed, free-lancers, consultants, web workers, just knowledge workers in general, has led to changes in the ways people work. The nature of their work means they can work from wherever they want and coastal living has many lifestyle benefits. (N.B. We believe that properties that offer space are going to be a big commodity in the future, as many people will be working from home and will want a home office. This again is why houses are always preferable to flats). 5. Pontins recently announced a £50m regeneration programme for their holiday sites across the U.K. They will also be creating 2000 new jobs. With the credit crunch biting, it's compelling information to know that Pontins believe in investing in U.K. holidays. With investment comes growth, so up-graded Pontins sites will contribute to the local micro economy and bring increased traffic to the area. 6. Coastal properties benefit from "coastal appreciation". According to the Halifax, the average property price in 24 seaside towns was at least 20% higher than the county average last year, and these towns are expected to remain largely unaffected by the credit crunch. The Halifax study also found that over the longer term there were 18 coastal towns that saw increases in price of over 100% between 2002 and 2007. This is because buyers of seaside properties in the UK tend to be older and wealthier than others so do not need to borrow large amounts of money to fund the purchase. The net inward migration and increasing popularity of coastal towns will also support house price stability. Any loss can be offset against your other income, not just the property income, reducing your overall tax bill. Or you can carry the loss forward and offset it against future letting profits. You may be able to take advantage of Capital Gains Tax (CGT) reliefs, such as 'business asset roll-over relief'. For example, if you reinvest within three years in another UK holiday letting property or certain other assets costing the same as or more than you got for the property you have sold, you may be able to defer payment of CGT until you dispose of those new assets. You may also pay less CGT when you sell a property you have used for UK holiday letting, compared with other residential let property. This is because a UK holiday letting property is treated as a business asset for the purposes of 'taper relief', so the more favourable rates of 'business-asset taper relief' may apply to any capital gain you make on the sale. The amount by which the gain is reduced by taper relief will depend on how long you have owned the property and how long you have used it for qualifying holiday letting. To understand the rules fully, and find out about other reliefs you may qualify for, ask your professional adviser or Tax Office about CGT reliefs on the sale of UK holiday lettings property. 8. In a recent survey, 52% of holiday makers said that the number one priority for their choice of holiday was to be close to a beach. If you have a coastal holiday let, close to a beach, you can be assured of well above average occupancy in the coming years*. However, also check for problems of flooding and coastal erosion before purchasing a beach-side property. 9. There are lifestyle benefits to owning a holiday let. These can be considerable, as the feeling of knowing you have a home away from home to visit when you please is a very comforting emotion to have. If you enjoy your home comforts even when on holiday, owning a second home is a very positive lifestyle option and can increase your enjoyment of regular holidays when you take them. You can take a break when you like, and no need to plan! Not only that, but you can open your second home up to family and friends if they need it and for many it becomes a regular occasion to have large social gatherings there. Even having a holiday home as a weekend getaway can be fun as you can switch off completely from your working week and enjoy the relaxation of knowing you're having fun and making some money through rental cash-flow when the property is "working". Many people have cash in the bank that is not earning them any interest. A holiday let property purchase can give them a return on their money, an investment, and add a new dimension to their lifestyle! 10. The advent of social media makes marketing to a global market easier than ever before. We use Twitter, Facebook, ecademy, and related forums to create visibility and awareness of our property in the market place - and it works. High quality holiday lets benefit from repeat business and referrals, so you only need to get a couple of seasons under your belt, and then marketing engine will start to run itself! We are pleased to report that our holiday let, SeaBreeze, is almost fully booked for the month of April which is considered a hard month to fill. We also have 6 weeks booked in the summer already!. Please visit click here for an interesting discussion on holiday lets and how to get the most out of them. Please have a look at Nick's video on achieving year round occupancy for holiday lets. As most of you know from my ramblings, we own property down in Portland, Dorset. This information from the BBC has helped the cause. Many people don't even know where Portland is, so this can only be a good thing by putting it on the map. The first sporting venue for the London 2012 Olympics has been completed with the end of construction at the Weymouth & Portland Sailing Academy. The £15m complex, which will also host the Paralympics events, was brought in under budget and ahead of schedule. The world-class facility will play host to 400 athletes completing in 10 Olympic sailing categories. Ralph Luck, of the Olympic Delivery Authority, will join gold medalist Paul Goodison at the unveiling later. 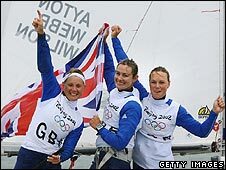 The British sailing team's successes at the Beijing Olympics included a haul of six medals, four of them gold. The early completion of the venue will give Britain's competitors a chance to train "well ahead of 2012", said Lord Coe, who chairs the organising committee. Paul Goodison, who won gold in the Laser class at Beijing, said: "We save a lot of time travelling around the world when we can get out of bed and it is here on our doorstep. "It is a fantastic opportunity, not just for myself, but some of the youngsters to see us in 2012 and aspire to 2016." Councillor Howard Legg, Weymouth and Portland council's special projects portfolio holder, said: "It is ahead of time, on budget and opening today. "It is great news for the community. "This is a real local effort, and it is not just people involved with sailing. "We have hoteliers learning different languages to help welcome people here in their own language." John Tweed, chief executive of Weymouth and Portland National Sailing Academy, said: "With these enhanced facilities they [sailors] will really be able to hone their skills before the 2012 games. "It is just a fantastic upgrade to what is already here." A 656ft (200m) breakwater protects the new facilities with a new pier offering two yacht-lifting cranes and a pontoon providing 70 berths for race boats. The start of construction, using 70,000 tonnes of Portland stone, was delayed to avoid disrupting the nesting season of over-wintering birds around the local coastline. In December last year, we recognised what was happening in the U.K. property market. We had previously been focussing on 3/4/5 bed houses in single occupancy with a few in multi-let format. However, we realised that we needed a new strategy to generate cash flow so we started researching holiday lets on the South Coast. In today's video broadcast, following a successful six months marketing campaign for our holiday let "SeaBreeze" , Nick talks about the niche marketing of holiday lets to achieve year round occupancy - click here. Nick Tadd on niche marketing strategies for Holiday Lets... from nick tadd on Vimeo. These strategies can be used in other types of letting properties, including single occupancy, multi-let, overseas holiday homes etc. With the credit crunch biting and the Euro making things very expensive across the Channel, we realised that a lot of people would choose to holiday in the U.K. rather than going abroad. Magazines like "Coast" have also been at the forefront of a renaissance in the great British seaside holiday. We looked to invest in a destination with year round appeal, and, after much research, finally purchased a two bedroom holiday cottage at Camber Sands, East Sussex. This delightful resort is situated only 90 minutes drive from central London, making it perfect for Londoners seeking a long weekend break. We have enjoyed 100% occupancy during June, July, and August and have been making £1100.00 NET cash flow on average. We already have a two long weekend bookings in September which easily covers the mortgage payment. We will be featured in October's edition of "Coast" magazine (on sale 15th September) in a coastpromotion about Camber Sands as a year round destination which should help raise awareness and lead to further Autumn/Winter bookings. We also believe in "coastal appreciation" i.e. that property on the coast will always achieve a premium and is less likely to be affected by price drops. This is because it is supported by the wealthy second home market and wealthy people are less likely to be affected by a recession than low wage earners. Most of the houses on our Camber Sands development were purchased for cash by wealthy Londoners. In fact, in everything we do we cater to the upper end of the market, as we believe it is more recession-proof than the lower end! "There are an increasing number of buy-to-let investors who are hoping to put money into a holiday home in the UK, according to new research. The Property Investor Show has found that 20 per cent of investors want to purchase holiday homes in the UK to rent out to cash-strapped holidaymakers. According to the show, the credit crunch is forcing the general public to stay in the British Isles for their holiday and this is driving demand for rental properties. Properties on the south-east coast of England are the most popular with 32 per cent of investors searching for investments in Ramsgate, Margate and Eastbourne. Commenting on the move to holiday rental homes, Nick Clark from Homebuyer Events said: "With more people switching to holidaying in the UK, the market for holiday homes is looking good, as investors take advantage of above average rental yields. The programme makers commented that holiday homes are set to experience "solid capital growth" and rental yields as high as ten per cent in certain areas of the country." Properties on the seafront are unlikely to be harmed by the credit crunch as owners tend not to need to borrow. A great view can increase the price of a property by as much as 30%. Living by the seaside is a common dream, and property prices in coastal towns reflect that popularity. According to the Halifax, the average property price in 24 seaside towns was at least 20% higher than the county average last year, and these towns are expected toremain largely unaffected by the credit crunch. The buildings society also found that over the longer term there were 18 coastal towns that saw increases in price of over 100% between 2002 and 2007. This is because buyers of seaside properties in the UK tend to be older and wealthier than others so do not need to borrow large amounts of money to fund the purchase. Andy Smith, Managing Director of 1st Property Investment, said that those who buy property on the seafront make their purchases principally for lifestyle reasons. "They don't rely on mortgages, these places are driven by people who buy because they choose to, it's not something they have to do," added Mr Smith. The South Downs area of England is proving a big draw, with the seaside town of Eastbourne being the most sought after town in the UK in May, according to the latest monthly search figures from property website PropertyFinder.com. Brighton was at number 13 in the country, and other south coast towns such as Southampton and Bournemouth were also in the top fifteen. "Eastbourne appeals to the retirement community who are relatively unaffected by the mortgage freeze as older buyers tend not to need to borrow," said Nicholas Leeming, director of PropertyFinder.com. "Eastbourne is also well within commuting distance to London and appeals to younger families seeking a seaside location but wanting a London income," he added. The news follows an earlier release from the organisation which finds Brits are willing to pay substantially more for seaside property when compared to urban areas." So, if you are interested in generating cash flow (which you should be! ), then finding a year round U.K. holiday let may be of interest to you. E-mail me at nick.tadd@4wallsandaceiling.com to find out more or to get in touch. For property intelligence and strategies, including U.K. holiday lets, please register at www.4wallsandaceiling.com. Delegates who regularly attend our networking events are benefiting from these strategies. It's always important to learn from the experience of someone who is successfully implementing what they are talking about. At our next networking event on Sunday 21st September in Milton Keynes, Vanessa Warwick and Michelle McDines will be doing a presentation entitled "Harnessing the power of social and business networking to progress your property business". We will be showing how Web 2.0 is changing the way people use the internet, and how this can benefit you. So, network for success by registering your seat at our next event on Sunday 21st September 2008 in Milton Keynes. When you attend educational and networking events, you are investing in yourself and your future! We look forward to seeing you there and sharing our passion for property with you and supporting you in realising YOUR dreams! Please stay tuned for our next video broadcast which is going to be all about marketing overseas holiday lets. This will be coming to you from sunny Cyprus! P.S. We would like to recommend a new property forum called "Love Property". You can join at www.loveproperty.org. It's a small but growing community of investors sharing their experiences. Join us as friends on there and share your views! "The ability to discipline yourself to delay gratification in the short term in order to enjoy greater rewards in the long term is the indispensible pre-requisite for success".